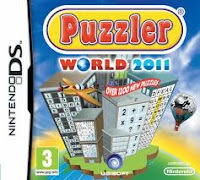 Following the success of Puzzler Collection and Puzzler World, Puzzler returns to the Nintendo DS with a brand-new edition for 2011 - featuring over 1200 all-new puzzles and amazing bonus games that all the family can enjoy! "I've never played puzzles on the DS before but I love to do them in women's magazines. I've only been playing this for a couple of days but already I'm addicted. I was even late picking my husband up yesterday because I HAD to finish my word search! It's a great game with lots of different puzzles, two different game modes, bonus games and there's even hints if you get stuck. I can't put it down." The range is specifically designed to restore vitality to mature and fragile hair. Containing Q10 Plus technology, the products strengthen the architecture and activate production of vital keratins that can subside over time. Each set contains shampoo, spray conditioner and treatment. "I have really thin hair so I was quite excited to try this. I'm always trying new shampoos in a bid to get my hair to look 'normal'. I use the shampoo first then towel dry before applying the Restore Treatment. I leave it in for a minute, rinse then towel dry again then use the Satin Spray. I wasn't expecting much, usually if my hair is soft it stays flat but this has given it body. I love it, it gives my hair volume and makes it feel soft. I'll definitely be buying some of this for myself." Tourmaline and ceramic technologies in this dryer work together to promote hair health and condition. 2000 watts. 2 speed settings. 3 temperature settings. Ionic conditioning. Accessories include paddle brush, 2 butterfly clips and comb. "I was really pleased when I was sent this to review as my old hair dryer was on it's last legs. I love the fact that it comes with a paddle brush, a comb and some hair clips - I always feel like I'm getting something for free when you get accessories! I was surprised by how light this was compared to my old one and I loved the salon style skinny nozzle. 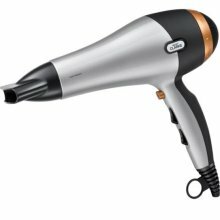 I've never used an ionic hair dryer before and I found that it left my hair shinier than normal - I don't know if that's linked to the ion thing-a-me-bobs!? Its a great dryer, 3 heat settings and 2 speeds. I'd definitely recommend and would love to receive this for Christmas - buy it!" Expensive night creams might promise to hold back the years, but sleeping on rough cotton pillowcases can limit their effect. By preventing osmosis SilkPerfect helps to keep product on the skin, helping you to make the most of your beauty routine. 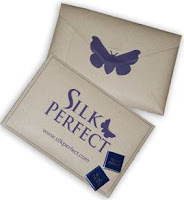 In addition, sleeping on silk reduces the loss of natural hair oils and moisture by preventing osmosis, leaving its natural glossy shine intact, while the close pores created by silk prevents the rubbing friction often associated with pillows leaving hair radiating with health and shine. "I was a bit dubious about the claims of these pillowcases. Better skin and hair? Hmmm. Well, I'm happy to say I'm glad to have been proven wrong. First of all I must tell you that there's something so special about sleeping on silk, you'll never be able to go back to cotton, I can promise you that! I don't have particularly dry skin so I can't really confirm whether it 'hydrated my skin' but I'm sure my face appreciated the luxury of sleeping on these! As for my hair - it's like a miracle - these pillows have banished my bed head and instead of waking up with a matt of hair I now wake up with luscious locks! Oh and you get a chocolate with it too - random but delicious." HoMedics Snuggly Bear massaging slippers give an invigorating and relaxing massage to even the most tired feet.With their ultra plush material and faux fur trina and lining they provide exceptional comfort. They have a convenient and easy to use on/off pressure sensitive button on the collar of each slipper giving independent massaging controls. The come in a "universal" UK sizing 4 - 8 and have a 2 year guarantee. "The thought of having batteries in my slippers made me laugh but I was keen to get them on and try them out. I'm only a size 5 so I was worried that they might feel big because they come in one size that fits sizes 4 to 8. I needn't have worried the velcro strap made them fit perfectly. It took a bit of getting used to having vibrating feet but once I had my feet up the massaging worked perfectly. A great novelty gift! "All I can say is thank you for letting me review this. I've struggled to remember where I'm supposed to be and when I'm supposed to be there for a long time now! This Filofax has actually changed my life (how sad is that). 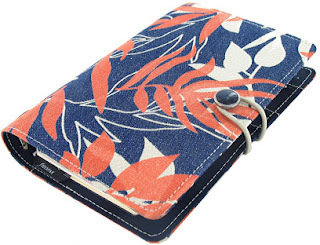 I love the fact that it's not your usual bland diary (it has a lovely pattern on a denim type material) and I especially love that it's refillable so I won't have to buy a new one every year. It has handy 'card holder' type pockets on the inside so I've been keeping my Christmas gift receipts safely in there and there are separators for each section - notes, addresses etc. I love it - and I'd love to receive it as a gift. I'm buying my mum one so she knows when I need a baby sitter!"